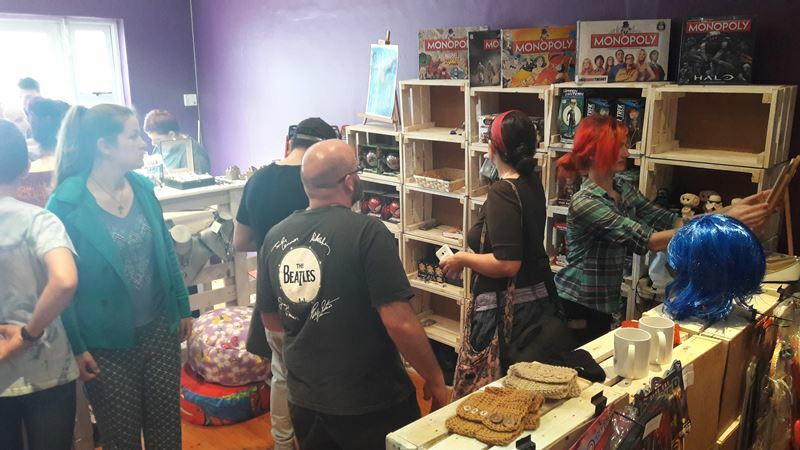 Port Elizabeth geeks, fanboys (and girls), cosplayers and comic book lovers rejoiced today with the opening of Geek World SA at 189 Main Road Walmer. Geek World SA stocks cosplay outfits, comic books, figurines, unique clothing, board games, fandom jewelry and lots more. Looking at some people as they walked in to day was like watching kids enter a candy store. The shop was packed all day long so I couldn't get any good pictures other than a quick cell phone snap, but as soon as I get a chance to go back I'll post a couple of nice pics. In the meantime check out their Facebook page to see some of the stuff they have in stock. A garage on an island?